Take advantage of our pawning services today! Have you tried applying for a loan only to be denied due to your bad credit history? Are you in need of cash as soon as possible? 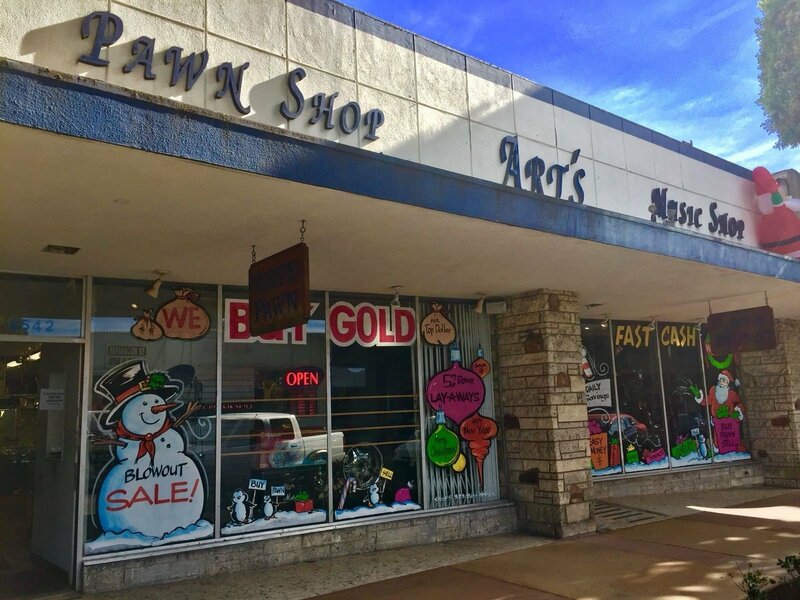 Make the most of the pawning services of Art’s Jewelry & Loan in Whittier, CA, and snag great deals on your items without any hassle. Make us your go-to pawn shop today! To pawn an item is to get a loan based off of your item’s current value to the store, not your financial history. Depending on the item, you can get anywhere between $5 to $10,000 with absolutely no credit check or proof of employment. Why sell your valuable item and use that money only once? When you can re-pawn the item over and over again to get continual cash flow. Pawn the item, pay off the loan, pawn it again, and the cycle can continue! With resale value depending on the supply and demand market, the value is always changing up and down. Save yourself from the stress of figuring out when is the best time to sell and what is the best price to sell. Come into our pawnshop and see how much cash you can get today. *Getting a loan with Art’s Jewelry & Loan can never hurt your credit score. Simple as 1, 2, 3 right? Art’s Jewelry & Loan always has friendly and helpful pawnbrokers waiting to assist you with any questions or process you have. If you need more time for your loan, let our pawnbrokers know, and they will be more than happy to help extend the time for you. Art’s Jewelry & Loan will renew your loan for another 4 months after paying the interest. Safety and security for all of our customer’s items are extremely important for us. Here at Art’s Jewelry & Loan, we protect and secure with high caution. Delicate and fragile items are covered and stored in our warehouse. All jewelry is safely secured in our safe. We have experience storing a wide variety of items from delicate classic guitars to motorcycles. Our Store guarantees a three-day warranty for any used items purchased from Art’s Jewelry & Loan in Whittier, CA. All of our used items are inspected by our pawnbrokers, their job is to make sure all items pawned are in good usable conditions for our future customers. If there are any problems with the item you purchased at our pawnshop Whittier, CA, bring it back and explain it to our friendly and helpful staff. We will try our best to fix any problem or help accommodate to you. You can call us crazy, but we are going to NOT ONLY price match the largest online retailer, but ALSO give you an additional 10% off! This is our way of providing the best deals at pawnshop Whittier, CA! Drop By Our Pawn Shop Today! Depend on Art’s Jewelry & Loan when you need reliable pawning solutions. Our shop accepts any items with logos. Aside from our pawning services, we also offer jewelry cleaning and repair. Rings can be altered 1.5 sizes up and down for free. Drop by today, and leave our pawn shop satisfied with your transaction and our service.